Why Open Source Machine Learning? From healthcare and security to marketing personalization, despite being at the early stages of development, machine learning has been changing the way we use technology to solve business challenges and everyday tasks. This potential has prompted companies to start looking at machine learning as a relevant opportunity rather than a distant, unattainable virtue. We’ve already discussed machine learning as a service tools for your ML projects. But now let’s look at free and open source software that allows everyone to board the machine learning train without spending time and resources on infrastructure support. The term open source software refers to a tool with a source code available via the Internet for free. Proprietary (closed source) software code is private and distributed via licensed rights. For a business that’s just starting its ML initiative, using open source tools can be a great way to practice data science gratis before deciding on enterprise level tools like Microsoft Azure or Amazon Machine Learning. The benefits of using open source tools don’t stop at their availability. Generally, such projects have a vast community of data engineers and data scientists eager to share datasets and pre-trained models. For instance, instead of building image recognition from scratch, you can use classification models trained on the data from ImageNet, or build your own using this dataset. Open source ML tools also let you leverage transfer learning, meaning solving machine learning problems by applying knowledge gained after working with a problem from a related or even distant domain. So, you can transfer some capacities form the model that has learned to recognize cars to the model aimed at trucks recognition. Depending on the task you’re working with, pre-trained models and open datasets may not be as accurate as custom ones, but they will save a substantial amount of effort and time, and they don’t require you to gather datasets. According to Andrew Ng, former chief scientist at Baidu and professor at Stanford, the concept of reusing open source models and datasets will be the second biggest driver of the commercial ML success after supervised learning. Among many active and less popular open source tools, we’ve picked five to explore in depth to help you find the one to start you on the road to data science experimentation. Let’s begin. Originally built by Google for internal use, TensorFlow was released under an Apache 2.0 open source license in 2015. The library is still used by the corporation for a number of services, such as speech recognition, Photo Search, and automatic responses for Gmail’s Inbox. Google’s reputation and useful flowgraphs to construct models have attracted a massive number of contributors to TensorFlow. This resulted in public access to exhaustive documentation and tutorials allowing for an easy entrance point into the world of neural networks applications. TensorFlow is a great Python tool for both deep neural networks research and complex mathematical computations, and it can even support reinforcement learning. The uniqueness of TensorFlow also lies in dataflow graphs – structures that consist of nodes (mathematical operations) and edges (numerical arrays or tensors). The flexibility of TensorFlow is based on the possibility of using it both for research and recurring machine learning tasks. Thus, you can use the low level API called TensorFlow Core. It allows you to have full control over models and train them using your own dataset. But there are also public and official pre-trained models to build higher level APIs on top of TensorFlow Core. Some of the popular models you can apply are MNIST, a traditional dataset helping identify handwritten digits on an image, or Medicare Data, a dataset by Google used to predict charges for medical services among others. For someone exploring machine learning for the first time, TensorFlow’s variety of functions may be a bit of a struggle. Some even argue that the library doesn’t try to accelerate a machine learning curve, instead making it even steeper. TensorFlow is a low-level library that requires ample code writing and a good understanding of data science specifics to start successfully working with the product. Consequently, it may not be your first choice if your data science team is IT-centric and there: There are simpler alternatives we’ll be discussing. Considering its complexity, the use cases for TensorFlow mostly include solutions by large companies with access to machine learning specialists. For example, the British online supermarket Ocado applied TensorFlow to prioritize emails coming to their contact center and improve demand forecasting. Also, the global insurance company Axa used the library to predict large-loss car incidents involving their clients. Theano is a low-level library for scientific computing based on Python, which is used to target deep learning tasks related to defining, optimizing, and evaluating mathematical expressions. While it has an impressive computing performance, users complain about an inaccessible interface and unhelpful error messages. For these reasons, Theano is mainly applied in combination with more user-friendly wrappers, such as Keras, Lasagne, and Blocks – three high-level frameworks aimed at fast prototyping and model testing. There are public models for Theano, but each framework used on top also has plenty of tutorials and pre-trained datasets to choose from. Keras, for instance, stores available models and detailed usage tutorials in its documentation. If you use Lasagne or Keras as high-level wrappers on top of Theano, again you’ll have a multitude of tutorials and pre-trained datasets at your fingertips. Moreover, Keras is considered one of the easiest libraries to start with at early stages of deep learning exploration. Since TensorFlow was designed to replace Theano, a big part of its fanbase left. But there are still a lot of advantages that many data scientists find compelling enough keep them with an outdated version. Theano’s simplicity and maturation are serious points to consider when making this choice. Considered an industry standard for deep learning research and development, Theano was originally designed to implement state-of-the-art deep learning algorithms. However, considering that you probably won’t use Theano directly, its numerous uses expand as you use it as foundation for other libraries: digit and image recognition, object localization, and even chatbots. 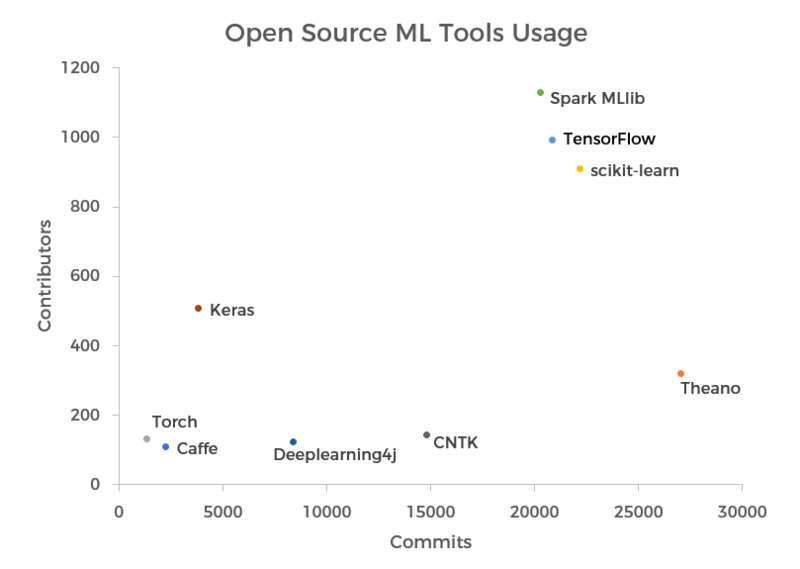 Torch is often called the easiest deep learning tool for beginners. It has a simple scripting language, Lua, and a helpful community sharing an impressive array of tutorials and packages for almost any deep learning purpose. Despite using a less common language than Python, it’s widely adopted – Facebook, Google, and Twitter are known for using it in their AI projects. You can find a list of popular datasets to be loaded for use in Torch on its GitHub cheatsheet page. Moreover, Facebook released an official code for Deep Residual Networks (ResNets) implementation with pre-trained models with instructions for fine-tuning your own datasets. Regardless of the differences and similarities, the choice will always come down to the language. The market population of experienced Lua engineers will always be smaller than that of Python. However, Lua is significantly easier to read, which is reflected in the simple syntax of Torch. The active Torch contributors swear by Lua, so it’s a framework of choice for both novices and those wishing to expand their toolset. Facebook used Torch to create DeepText, a tool categorizing minute-by-minute text posts shared on the site and providing a more personalized content targeting. Twitter has been able to recommend posts based on algorithmic timeline (instead of reverse chronological order) with the help of Torch. In November 2016, scikit-learn became a number one open source machine learning project for Python, according to KDNuggets. scikit-learn is a high level framework designed for supervised and unsupervised machine learning algorithms. 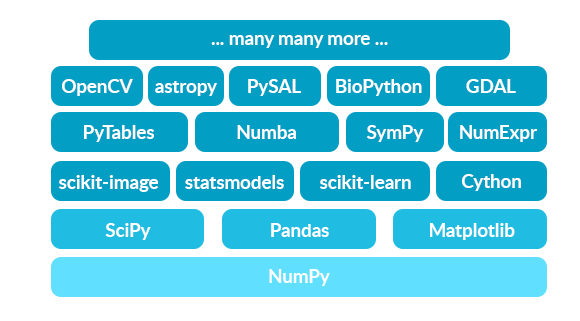 Being one of the components of the Python scientific ecosystem, it’s built on top of NumPy and SciPy libraries, each responsible for lower-level data science tasks. While NumPy sits on Python and deals with numerical computing, the SciPy library covers more specific numerical routines such as optimization and interpolation. 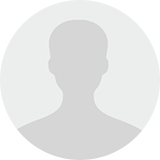 Subsequently, scikit-learn was built precisely for machine learning. The relationship between the three along with other tools in the Python ecosystem reflects different levels in the data science field: The higher you go, the more specific the problems you can solve. The library already includes a few standard datasets for classification and regression despite their being too small to represent real-life situations. However, the diabetes dataset for measuring disease progression or the iris plants dataset for pattern recognition are good for illustrating how machine learning algorithms in scikit behave. Moreover, the library provides information about loading datasets from external sources, includes sample generators for tasks like multiclass classification and decomposition, and offers recommendations about popular datasets usage. Despite being a robust library, scikit-learn focuses on ease of use and documentation. Considering its simplicity and numerous well-described examples, it’s an accessible tool for non-experts and neophyte engineers, enabling quick application of machine learning algorithms to data. According to testimonials by software shops AWeber and Yhat, scikit is well-suited for production characterized by limited time and human resources. scikit-learn has been adopted by a plethora of successful brands like Spotify, Evernote, e-commerce giant Birchbox, and Booking.com, for product recommendations and customer service. However, you don’t have to be an expert to explore data science with the library. Thus, a technology and engineering school Télécom ParisTech uses the library for its machine learning courses to allow students to quickly solve interesting problems. While Theano and Torch are designed for research, Caffe isn’t fit for text, sound, or time series data. It’s a special-purpose machine learning library for image classification. The support from Facebook and the recently open sourced Caffe2 have made the library a popular tool with 248 GitHub contributors. Despite being criticized for slow development, Caffe’s successor Caffe2 has been eliminating the existing problems of the original technology by adding flexibility, weightlessness, and support for mobile deployment. Caffe encourages users to get familiar with datasets provided by both the industry and other users. The team fosters collaboration and links to the most popular datasets that have already been trained with Caffe. One of the biggest benefits of the framework is Model Zoo – a vast reservoir of pre-trained models created by developers and researchers, which allow you to use, or combine a model, or just learn to train a model of your own. The Caffe team claims that you can skip the learning part and start exploring deep learning using the existing models straightaway. The library is targeted at developers who want to experience deep learning first hand and offers resources that promise to be expanded as the community develops. By using the state-of-the-art Convolutional Neural Networks (CNNs) – deep neural networks successfully applied for visual imagery analysis and even powering vision in self-driving cars – Caffe allowed Facebook to develop its real-time video filtering tool for applying famous artistic styles on videos. Pinterest also used Caffe to expand a visual search function and allow users to discover specific objects on a picture. The number of machine learning tools appearing on the market and the number of projects applied by businesses of all sizes and fields create a continuous, self-supporting cycle. The more ML efforts you initiate, the more tools and services are created, and therefore – the cheaper and more accessible they become. Even in our age at the dawn of machine learning, we have such a wide range of opportunities that it’s hard to make a choice. The most important takeaway is that each of these projects has been created for a series of scenarios and your task is to find the ones that fit your approach the best. I’ve been trying to get up to speed with Caffe2 for some time now, and although they claim to be good at image classification, I haven’t seen anything in particular that says its specifically for that. Hi, John. Caffe is commonly preferred for image classification thanks to its processing speed (60M+ images per day) which can be seen in numerous pieces of research and examples (x, x, x). This of course doesn’t mean that the framework only exists for those tasks, but we like to provide some distinct use cases when comparing tools. Gotcha. Yea I see that the general use case is images, as are most of their tutorials. Wanted to double check though! I’m hoping to use it for sensor data processing, so was interested if there was anything that would’ve implicitly ruled that out. Thanks!